Last edited by Chad; 10-15-18 at 06:58 PM. Put in my Mondo Macabro blu-ray to revisit this film and suddenly I'm faced with a choice I was not prepared to make. Do I want the 'Island of Death' version, the Spanish version, the alternate English version, or the English Version? Curses. I went with the Spanish version. As a result I was instantly bombarded with horrific images of war atrocities against children, I had apparently chosen wrong - that or these film makers care little for my comfort and surface level enjoyment for the immediate thrills schlock without the burden of reality. I have seen WCKAC before on Dark Sky's DVD and do not remember the horrifying dead children at the intro credits as much (perhaps they were always there and I chose to not remember). After beating us over the head with concentration camp kids we are taken to a brilliant vivacious beach and festival, these film makers are evil going from one extreme to another. I do think it's refreshing that WCKAC is about more than just scares and presents a politically relevant message that still seems true today - the 'fake news' mass media probably isn't big on bringing us the latest in dead kids from Turkey or missing girls from Nigeria. That or WCKAC is exploiting the shocking horrors of the real world to make it more plausible their killer children and vindicated in their murder and deserving of our sympathy, which is kind of low. The most intense footage in the film is newsreels. The beach setting is great and does a good job of pushing the theme that our 'heroes' are isolated from the horrors that are literally on an island. These heroes who walk past the children in search for the leisure thrills of ice cream, soda pop, and cold beer. I'll probably 'have' to listen to the commentary later because WCKAC seems delightfully more full of depth than average. 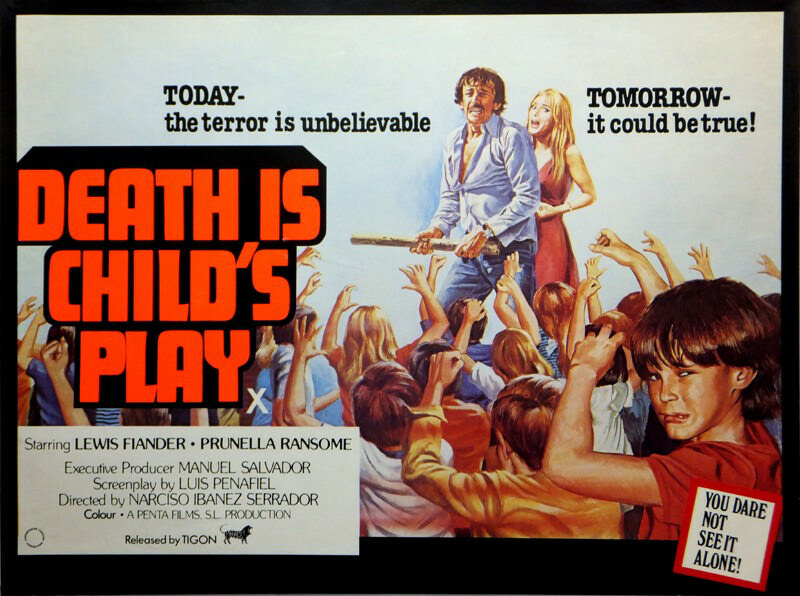 I love the early hint of violence that "two bodies washed on the shore" before it goes full throttle and that the kids never 'look' insane and just look like kids. It was a brilliant move making the wife pregnant and 'works' thematically - that out children, even in uterus, are changing us as much as we adults are perhaps letting them down (assuming adult hardships on children is the theme(. However, the wife's death feels like a cheapshot plot wise. Some of these kids look very close to turning 18 so they better watch out - I wonder how that would work, one day you're one of the heathen kid gang murdering all the adults then 'boom, happy 18th birthday' and you're gone. 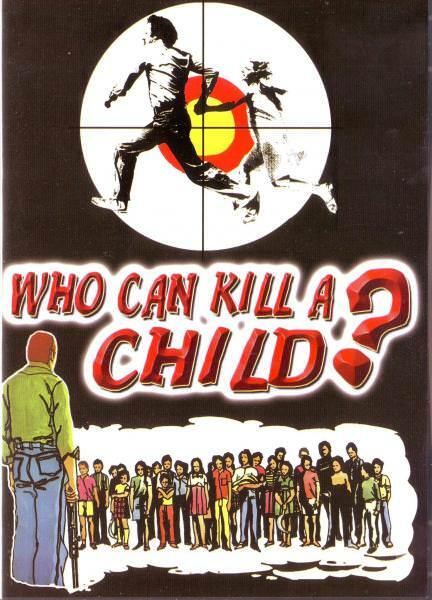 Our 'hero' murdered the killer kids - so in an effort to suggest a metaphor where kids are let down by adults so rising up presents a scenario where the murder of the kids is justified seems to nullify it's point that kids too often bear the brunt of adult mistakes because here they take on that murderous element as their own. Maybe that's suppose to be a comment on the transition from the innocence of babies to the menace of adults or I'm overlooking aspects. Maybe I should have watched the Alternate English Version instead (?). Last edited by Undeadcow; 10-17-18 at 10:16 AM. Good analysis there. I've seen this in a previous challenge, likely the same version you first saw. I bought the Blu-ray for this year's challenge but haven't put it on yet. You raise an interesting question that I didn't know I had to answer: which version to watch. I'll have to find some info on the various versions. Last edited by clckworang; 10-17-18 at 04:55 PM. Getting attacked by a group of kids. Leave multiple weapons where they are. Use one gun, then throw it down. Use a knife on one of them. Throw knife to one of the kids. He deserved to be shot. Interesting analysis undeadcow. Since I just watched it, I can confirm that the Dark Sky DVD does have the war atrocity documentary footage at the beginning along with crawls that give total casualties and the number of children who died in each war. I have to admit to feeling disorientated and almost offended by the dose of brutal reality in my horror movie watching. A strange feeling. It was a shock when the movie started and turned to bright, happy color. The story took its time to get going but I didn't mind at all. The build up was interesting although for some reason I found the characters a little annoying at times. Were they just too cheerful compared to how the movie started? Once they got to the island, the suspense built well. The end of the movie was well done, both obvious - of course the police will think the adult is at fault - and a surprise because I was so absorbed by the story. A very good movie. And I agree with Trevor. I'd like to think that even if I'm scared out of my wits and running for my life I'm not going to throw away my only chances to get out alive. Agreed, although earlier the 'hero' explains the kids just need to feel threatened to fall in line after he fires a warning shot. Obviously that doesnt last long but maybe that's a hint into his thinking or to explain the careless weapon tossing later. I suspect there's a thematic reason he didnt just kill them all because WCKAC does feel like theres more than surface level. This movie has a lot to unpack. My mind is swirling not just from the surface level of creepiness and atmosphere that the movie had in spades, but the heavy socio-political themes it challenged the viewer to confront. Ultimately I think it's about the injustice that adults always seem to leave a chaotic and violent future for the children they create. WCKAC seemed to turned the tables on the adults and it was amusing seeing them try to process the madness of kids trying to kill them. That must be similar to how kids feel when they try to understand the concepts of adult things like war. There was a bit of irony when the wife suggested a normal child could never kill a person, when a lot of popular psychology suggests the opposite, that children are cruel by nature until they learn empathy, which leads to a larger condemnation of humanity at its core. This movie was surprisingly thought-provoking. I was impressed, and you guys have kick started some excellent discussion. I've seen it a few times, and I watched my Mondo disk with the commentary, which was informative for a VERY brief period. Mostly, it was 2 fans talking about the director and his father and every film they ever did. It also talked about every other film on the planet other than the very important one playing on the screen. I wasn't a fan of the babble. They did talk briefly about the source novella. Seems pollen was the culprit turning the kids, but I don't think that was mentioned in the movie. I think the wife had mentioned something about the island being yellow rather than full of vibrant colors, but I may be adding commentary points. Originally the opening images were planned for the end of the movie, but it was deemed to give the movie you just saw a different feel. 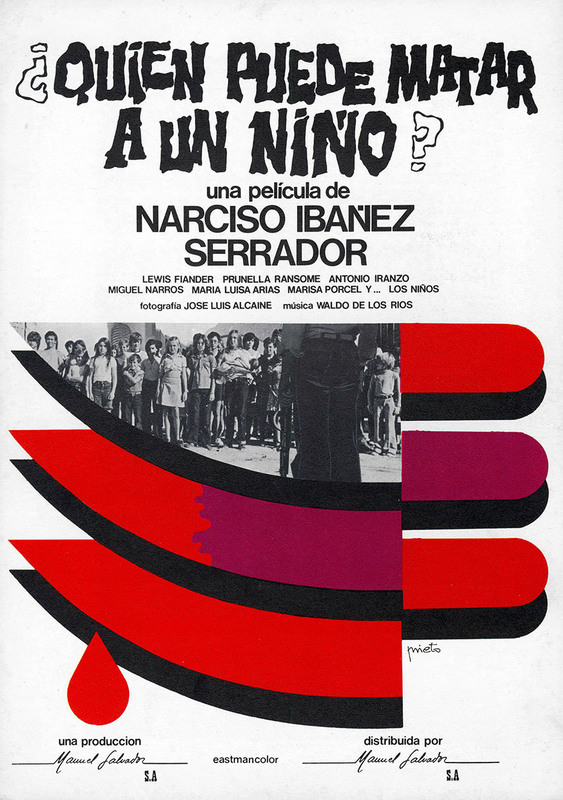 At the beginning it has an awkward placement, and bombards you with the major theme of the movie, children suffering from the actions of adults. I've always thought this is a really good film, with some important themes that are timeless. It seems there was bit of discussion involving Children of the Corn, and how mean-spirited those kids were in the King book. They suggested they were lightened up a good bit for the movies, and I may try and remember it for next year. Did we do a remake as a theme a few years ago? I loved this film. Something about the feeling of it, maybe the boats/water stuff or the way the couple looked, reminded me of Don't Look Now. 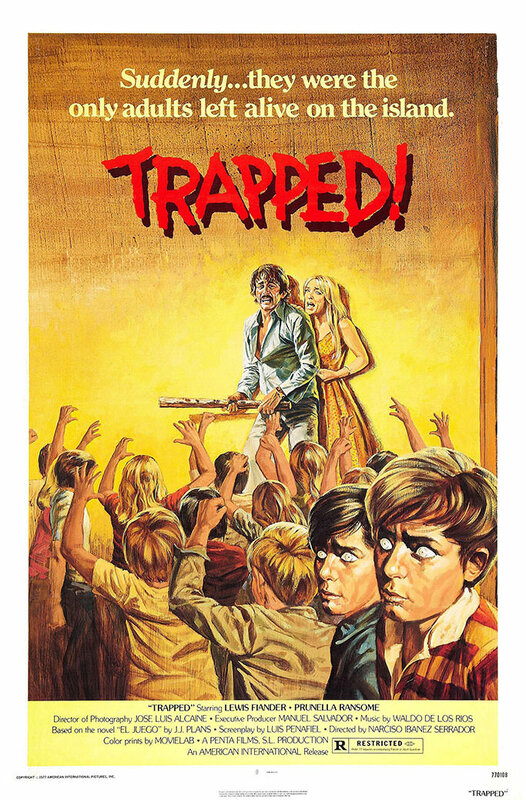 I was surprised this film isn't better known, because I'd rank it up there with my favorite horror classics. I watched the Mondo Macabre blu ray version with the war footage at the start too. I thought it was an interesting set-up and justification for the film, that we've been victimizing children especially in all these atrocities, so they rise up against us. I liked that. I also like the slow buildup and the fact that the kids never seemed like zombies or like they had rabies or anything, they just acted mostly like normal kids. The giggling was super creepy. Also, I liked where the one kid from the coast looked into the eyes of the kid in the inland family and somehow "transferred" the madness. Though that didn't make much sense with the story the islander told of how it started since all the kids would have been in their own homes. But anyway, it was a neat moment. The ending of horror films can often be a letdown with just OTT violence for its own sake, but I liked the ending. The death of the pregnant woman was unexpected and intense. And then the police shooting the guy--made sense and was so tragic. Then the laughing kids aiming the gun at the police guy at the end. Bravo. I just loved everything about it. Ranks up there with stuff like Rosemary's Baby for me. Yes, we did it for the 10th Challenge. So I wasn’t going crazy! For the second time this month, I could have sworn we’d done the film before. I probably watched the original and the remake back then. Thematically I think the most important moment is when the TV is doing a report on the atrocities children suffer during war and the husband turns the sound down. I don't think the film was trying to justify the hero killing kids, and the fact that he throws down his gun is proof of that. Moments earlier he shoots the first child and he talks about it like crossing a line that he could do again, but I think it's something he just can't live with. I think this film is about forcing adults to confront the world they are leaving for children, and it was important that the protagonists were tourists. There's a certain apathy in middle class citizens about how people around the world suffer in order to prop up our own comfortable lifestyle. WCKAC is what would happen if you had to confront the sweatshop children who made your Nikes.